Emma McCarthy delves into the memories of music’s legendary strummer, Keith Richards. 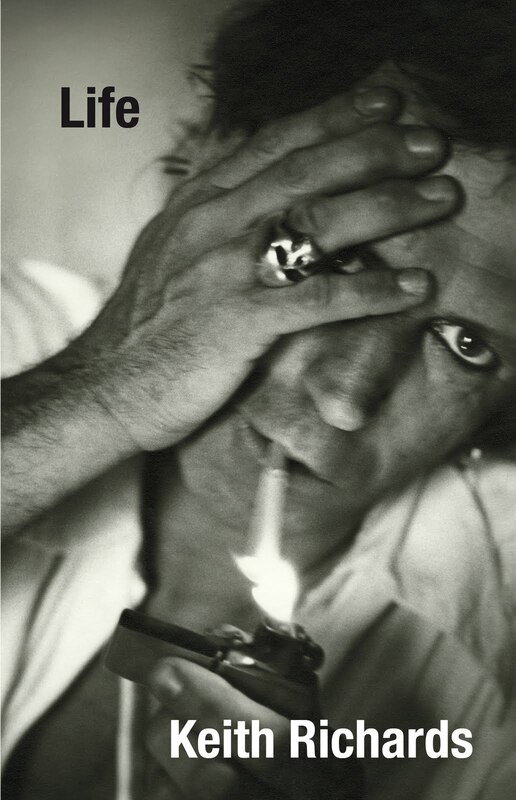 Whenever I told any of my friends that I was reading Life, the new autobiography by Rolling Stones guitarist, Keith Richards, I always got the same response: “He actually remembers enough to write a book?” What I learned from delving into his history is the reason that he could. It’s unforgettable. Keith Richards is a musical legend. It’s a fact. Being the guitarist for the Rolling Stones, he and Mick Jagger have created some of the best music there is: Keith with the riffs, Mick with the lyrics. Then there are the stories that surround the person behind the music, the person who inspired Jack Sparrow, the person who snorted his father’s ashes. The notoriety around the band is almost as famous as the music. The arrests, the drugs, the alcohol, they seemed as integral to the band as the song writing and the instruments. The problem lies in establishing what’s true and what’s been blown out of proportion? When I got this book, I was excited to learn more about the man behind ‘Wild Horses’ and who penned the amazing opening riff to ‘Satisfaction’. I wanted to look behind the drug and alcohol stained exterior and see something more than a vandal, a rebel. Then, he got arrested on the first page. Why? For being Keith Richards. The fact that the car was filled to the brim with drugs including several kinds stuffed in Richards’ hat but that wasn’t even a factor, the cops didn’t even find them. He was simply arrested for being a Rolling Stone in Arkansas. I quickly realised that this was Richards’ life: the drugs, the arrests and the music. But, as I read on, I accepted that that was okay because I was still learning about one of my favourite musicians is. His passion was for the music he was involved in and what inspired him is never far off as it merges into every story he tells. Richards doesn’t shy away from any facts in his stories, no matter how repellent they could be. He and James Fox, the assistant writer, have set out to detail a life, and what a life it is. Starting out from childhood, Richards recalls growing up in a post-World War II Britain, detailing horror stories about the dentist, school bullies and home life. Phrases such as “the first time I was shot” pop up casually and we delve into his life. Richards talks about his family with nothing but affection, especially his mother, who bought him his first guitar and introduced him to the different kinds of music in the world. The music. This is the addiction. This is what Richards can’t kick and he proudly admits it. The drugs have gone, the arrests have stopped but the music still goes on as he writes about songs that have yet to be written, music that has yet to be played. As well as documenting the songs that don’t yet exist, Richards openly and fondly writes about his inspirations, the formation of the band and the beginning of the Rolling Stones, a new wave of rock band that brought rebellion in the loop. Money didn’t matter; fame was something to play with and derive humour from, it was just the music that counted. The Stones wanted to be a blues band that had their beats blown through the London circuit. They resounded throughout the world and a whirlwind of notoriety went with it. The touring began and with it the drugs and alcohol. I read for the music, but on the way I learned a lot more about what it was to be a rock star in the 1960s and 70s. The story doesn’t just revolve around Richards as it would be impossible to leave Mick Jagger out of the memoir. It’s no secret that the two can be at each other’s throats in seconds but Richards is nothing if not loyal. There are arguments but there’s fondness there too. It’s quite endearing to read when it’s not shocking and not hilarious. I suppose true brotherhood is being able to document what about a person can drive you crazy in a book! I don’t want to give too much away but I will say that this book was an education in what a real autobiography is and should be. I don’t know about anyone else but I am sick to death of so many “celebrities” today who can come out with five autobiographies before their mid-thirties. It was completely refreshing to read the story of someone who waited to have a life and a career to have stories to tell and who doesn’t write while wearing rose tinted glasses. It’s Keith Richards, the rebel, the romantic, the addict but above all, the musician. It’s the truth, it’s real and it’s unforgettable. It’s Life. A very fitting title.